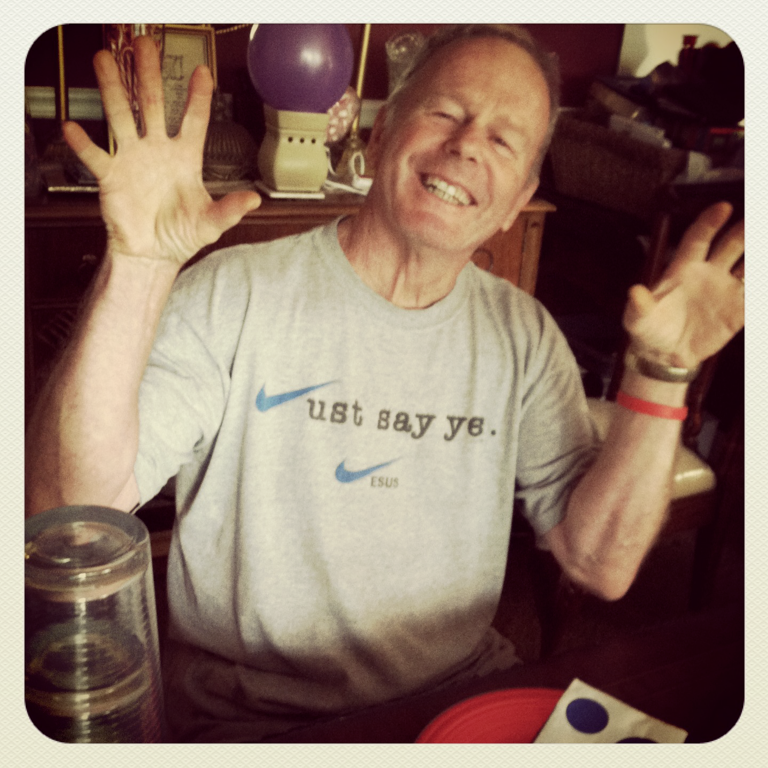 Today my dad turned 69. I drove to Owasso with Katie, Millie, A23m, and A5w to be with my parents and celebrate. I asked my mom what would she cook for dad if she could and then I went to the store and got everything we needed for that meal and made it. My dad has always erred on the goofy side and this picture is proof. I was happy to celebrate with him today and hope for many more.